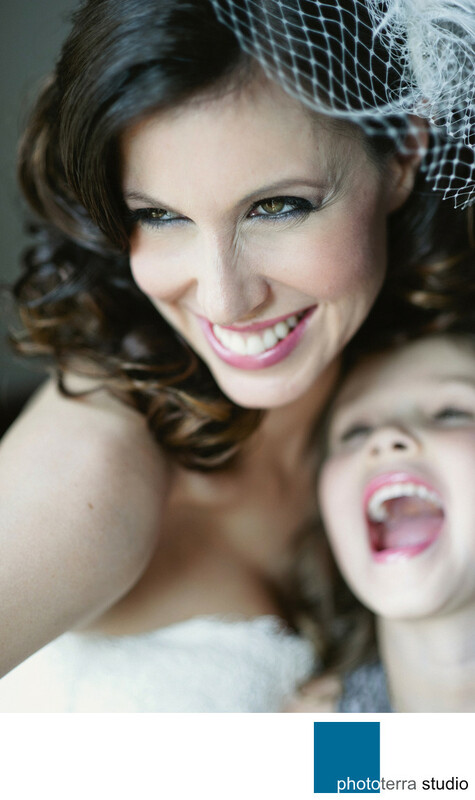 This joyous moment between the bride and her daughter was captured with available light on her wedding day in Montreal, Canada. In this moment I had asked the bride to interact with her bridesmaids that were sitting next to me. At the same time, I asked the bridesmaids to find some way to make the bride smile or laugh by telling her something that was crazy funny. Well, I can’t recount exactly what they said here, but it made the bride’s daughter laugh hysterically and the bride smile too in this beautiful and emotional moment between them.